When considering options to upgrade energy efficiency in homes, blinds don’t always come to mind right away. Even less, energy efficient blinds. Yet, your window treatments play a significant role in maintaining a comfortable temperature in your home. Thin, opaque materials are more likely to allow heat transfer, which means the warm, comfortable air inside your home won’t be retained as well as it would with thicker options. Enhance R-Value: By upgrading to models made exclusively to enhance energy efficiency, you could increase your window treatments’ R-value (a measure of resistance to heat flow) by up to three times that of regular blinds. Heat produced inside your home will stay indoors, which will prevent your HVAC system from having to work harder than it needs to and can help to keep your bills down. Add Extra Insulation: Well-insulated windows are the best line of defense against allowing warm air to escape. Caulking and upgrading windows to energy-efficient models can help control heating and cooling costs. Nonetheless, thicker window treatments also add an extra layer of insulation to keep warm air in, which can aid in keeping your heating budget to a minimum. Prevent Drafts: Energy efficient blinds are available in tight-fitting systems to prevent drafts from every possible angle. By forming a seal around the tops and sides of your windows, these solutions add even more protection against cool wintertime gusts. As an added bonus, they also keep light out when desired, so you can stay fast asleep even after the sun rises. Energy efficient blinds are an excellent way to boost efficiency and save money year-round. If you’re seeking new blinds for your home, All County Window Cleaning can help. 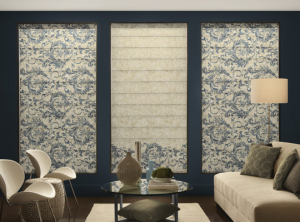 Located in Vernon, NJ, this BBB-accredited team has a broad range of window treatments available for each home’s unique needs. Learn more about their services clicking here to contact, or by calling (973) 827-8311 to speak with one of their experts today.